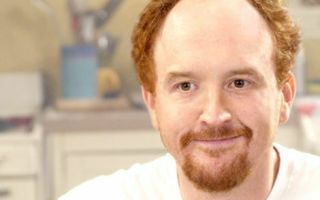 Stand-up comedian Louis C.K. has made a whopping $200,000 (£120,000) profit by streaming his latest live performance on the internet. The number is significant because the American funnyman chose to by-pass television networks and download portals like Apple and Amazon and instead sell it directly to fans. Instead of passing a large chunk of the dough to content providers, the comedian, real-name Louis Szekely, paid his own cash to professionally shoot the show, build a website and stream the performance. He then made the performance available to download, DRM-free, for an affordable $5 (which is around £3.00) in the hope that people would pay-up, rather than go on a mass torrenting spree. The "Louis C.K. Live at the Beacon Theatre" show has been downloaded 110,000 times, which after costs of filming the show, building the website and PayPal fees, leaves Szekely with a profit of over $200,000. "The experiment was: if I put out a brand new stand-up special at a drastically low price ($5) and make it as easy as possible to buy, download and enjoy, free of any restrictions, will everyone just go and steal it? Will they pay for it? And how much money can be made by an individual in this manner?" he said in a statement. The success of Szekely's venture could spark an entertainment revolution with artists choosing to go their own way and cut out middle men like HBO and Apple. "If the trend continues with sales on this video," he continued. "My goal is that I can reach the point where when I sell anything, be it videos, CDs or tickets to my tours, I'll do it here and I'll continue to follow the model of keeping my price as far down as possible, not overmarketing to you, keeping as few people between you and me as possible in the transaction."